This 1000kW Crestchic loadbank is designed for outdoor use and weather protected to IP55. It is designed for easy transport with a galvanised base with forklift pockets. 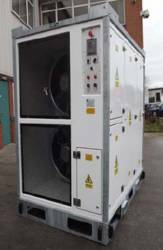 This is a highly reliable unit, perfect for a wide range of applications.